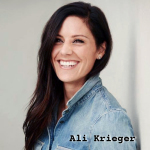 Women's World Football Show Episode 135 hosted by Patty La Bella and Adam Barlow. Featuring exclusive interviews with Juventus midfielder Ashley Nick, Southampton WFC Coach Neil Senneck, and football journalists Girls on the Ball. Women’s World Football Show, Episode 135, features exclusive interviews with Juventus FC Women midfielder Ashley Nick, Southampton Women’s FC Coach Neil Senneck, and women’s football journalists Girls on the Ball. In this special 5 year anniversary special, Women’s World Football Show visits with a few of our very first guests to appear on the show. First, we welcome back midfielder Ashley Nick. The veteran footballer is now playing at Juventus FC in the re-energized Italian League. Adam and Ash look back on some of the best moments in her career, her footballing journeys and her new experiences playing for Juventus FC Women. The Southern California native reflects on some of the decisions she’s made in her life and how they’ve impacted her career, and more. 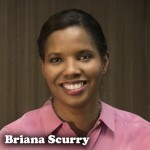 Don’t miss this interview with one of the games more positive personalities! Another long-time friend of the show, Coach Neil Senneck chats with Patty about his time coaching in South Africa, the evolution of youth female football, and his new gig coaching at Southampton Women’s Football Club. What are some of the differences between youth football in South Africa and UK? How has the women’s game grown in South Africa since last we spoke? What makes a good coach? Coach Neil is here to fill us in on all this and more! 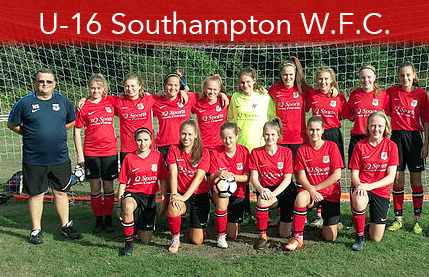 Follow & support Southampton WFC on Facebook. 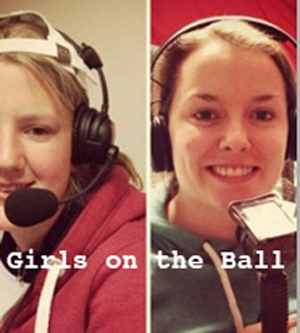 Visit the GotB website at GirlsontheBall.com & follow them on Twitter @GirlsontheBall! 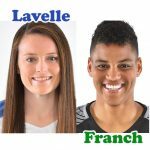 FIFA U-17 Women’s World Cup update; A quick rundown of the 2019 Women’s World Cup qualifiers; NCAA Div l College Cup recap; W-League report; a whole lot of reminiscing; AND MORE! !